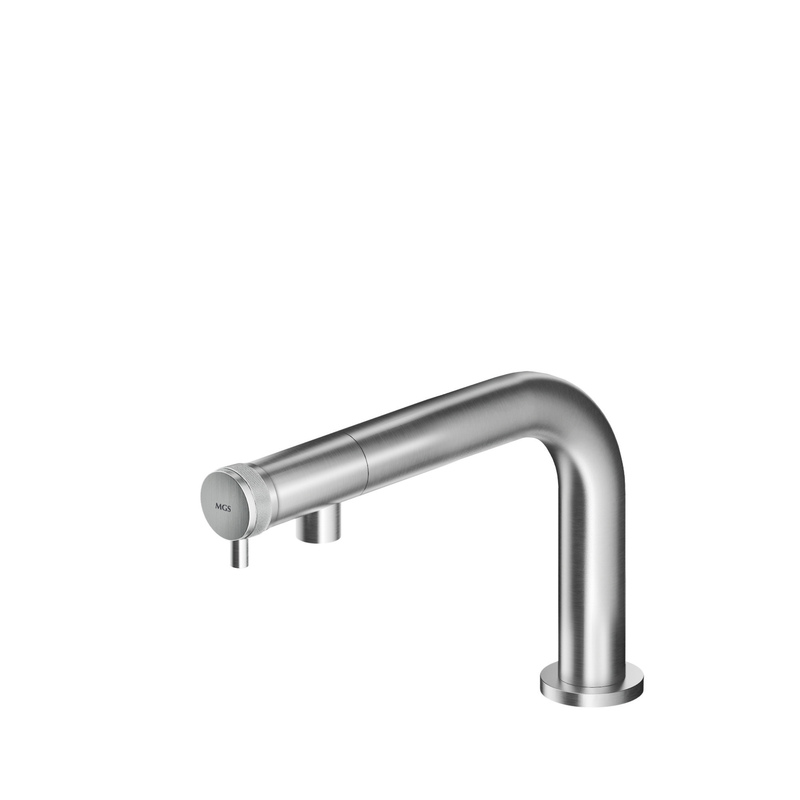 High grade AISI 316 solid stainless steel single hole faucet. Hand polished to a smooth and flawless matte or high gloss finish. Supplied with the short stick lever and with a small stainless steel cap: you choose what you prefer, with or without lever! Also available in our exclusive PVD finishes Black Steel, Titanium matte, Rose gold matte, Gold matte. Unique design with control on the head. Small version of the ER237: the perfect proportions and dimensions make it an ideal choice for small-medium size bath basins. High precision machine tooling, extremely low tolerances, perfect assembly result in long term perfection. Maximized ergonomics and ease of use. There are no weldings or castings that could spoil the perfection of this product.